I gave blood again on Thursday night. My wife often jokes that I'm so survival orientated that I even picked a mate with the same blood group, then our children should have the same blood type (unless there is a mutation or a milkman involved). Great for a survival situation! Although I think it's has more to do with the fact that we both have a common blood type (ORH+) shared with 37% of the population - incredibly my blood can safely be given to 83% of people. There was quite a queue and it ended up taking the best part of two hours but I still think it's worth it, I think that if you'd be willing to take the blood then you should also give it. They had some good magazines to read anyway and the staff are always really friendly. Good biscuits at the end as well! It's a shame only 4% of the population give blood though, I think it should be more. Do you donate blood? And do you know what blood group you are? My wife was low on iron when she first tried to donate as well. At least you know to try and keep your iron levels up. Lots of spinach for you! I used to give blood but, do to an hereditary condition, cannot give blood at the moment. I'm not Anaemic, in fact quite the opposite, I have too much iron in my blood and have to venesect (have a unit of blood removed) currently every 4 months to try and keep it below a certain level. The liver can only store a certain amount of iron, after that it is 'farmed' out to other organs and can settle in joints and other tissues, giving Arthritis to the person with, Haematomochrosis, which is the name for it. (Think I've spelt it correctly!). Some years ago because the symptoms are so like Anaemia, folks were treated as anaemic and given high doses of iron! Now, the medical profession is more aware of the condition, thank goodness! It amazes me how much medicine moves on. Just to think that not too many years ago they would have tried to treat you and made you worse is incredible. We are lucky to live in the time that we do! Cheers John. Just trying to spread the message so those who can will. They won't accept blood in Ireland if you have lived in the UK, Kev. I echo what John says: "Thank you". That's mad - reading a few of the comments below I had no idea ours was considered inferior blood. No mad cows around here! 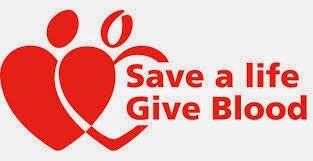 Can't give blood in France either, if you have lived in UK - they are worried we are all going to turn into mad cows. A shame - I'm B neg which is even rarer in France. Incidentally, went out to dinner last night and strangely enough, we were talking about this very subject. Turned out the hostess is also B neg, so at lest we have each other to fall back on!. I can't believe this. I think that's crazy (or mad I guess). I've never heard of this before. Again, in Canada we can't give blood as we lived in the UK.I don't know my blood group,but my family have a rare group,so unless I was dropped on the doorstep I have the same. It's worth knowing your blood group. they're doing a thing over here now that the tax discs are being done away with, you keep your details like blood groups and medical history in the holder. That way any medical professional can find your info straight away. My blood type is so common they don't even care if I give blood anymore. Used to be they were begging everyone to give around here but that changed a few years back. Always a nice idea though. Over here there isn't enough people donating so every group is needed all the time. Even if it goes to research I still think it's a really good thing. Yes and Yes, even though I have had the words "mad cow" uttered to me. Ha ha - At the same time as giving blood? One daughter isn't old enough, the other tried and unfortunately she is like me and very tight, so they couldn't get any! The FH had given 50+ pints in his lifetime, and his cousin and cousin's wife were both approaching 75 when they were both diagnosed with different cancers and had to stop. My sister does her bit too. As the widow of someone who had a heart transplant, I am very supportive of donating whatever we can, and just sad that I can't give blood myself. We are all on the organ donation register though. We done to all of you. I wish I started earlier, but I guess I was a bit scared of it so it put me off so I've only been doing it a few times. I hope to keep giving regularly from now on though. I know - I was surprised as well! Ah, but Julee, it wasn't called mad cow disease in France. It was called JCB disease. You get your JCB, dig a hole, then chuck the dead cow into it...eh, voilá! Haha - trust the French to have a different approach to it. 55 donations - until collapsed veins prevented me from donating anymore. Thank you for posting - the more people who are "exposed" the more people, hopefully, will sign up. I was told that I wouldn't make a good junky because a vein is pretty hard to find on me! 55 is a very good number, I hope I can get somewhere near that one day. You're handy to keep about for your blood then! I think if you're in the neg group you have to have injections when you give birth as well, not sure why this is. I tried to donate several times way back, each time I was told I didn't weigh enough.. LOL 15 lbs more now I am sure I weigh enough ... but I admit I have not attempted to donate in quite a few years. You must be pretty small! No doubt of me weighing enough! Occasional donor here. Blood type: B+. It's all to do with dominant and recessive genes and what ones you get given. I remember something about it from GCSE biology but it was so long ago that I've forgotten! I always find that question incredible - How are they still allowed to discriminate in that way? I know plenty of people that sleep around who would still be allow to donate. It's all tested before it's used so I don't really see the difference it makes. low hemoglobin means I am not allowed. no matter how much food I eat with iron in it. My wife was told dark chocolate and red wine was the best remedy! She certainly does the dark chocolate bit! I'm B+, 16% of the world population. Here's something fascinating, if you google world blood group map or something like that it will come up with a map showing where your blood group originates from, very roughly of course. B+ group originated from Northern India and Northern central asia. That's pretty interesting! South America is pretty much all O blood types and there's lots around the world. I think I'm just common! Boiler - Repair Or Replace?